"What a beautiful picture of Margaret. 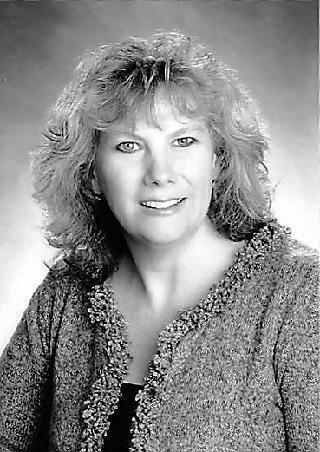 We became friends..."
Margaret K. Vish, 59, passed away January 31, 2019 with her family by her side after a hard-fought battle with cancer in Colorado Springs, Colorado. She is preceded in death by her loving husband of thirty-three years, John; her parents, Francis and Mary; and her sister, Barbara. Margaret is survived by her son, John Jr. (Danielle); daughter, Kathryn (Nicholas); and son, Jeffrey; along with her grandchildren, Logan, John III, Natalie, and Connor who were the joys of her life. Margaret was anxiously awaiting the arrival of her fifth grandchild, Charlotte, due to arrive in April. She is also survived by five siblings, Kathleen (Chuck), Kevin (Peggy), Maureen (Steve), Edward (Kristi), and Chuck (Wendy); along with many nieces and nephews. Margaret loved to read and could always be found with a book close by. Visitation, 4:00PM-7:00PM, Rosary, 7:00PM, Thursday, February 7, 2019, The Springs Funeral Services-North, 6575 Oakwood Boulevard, Colorado Springs, Colorado 80923. Mass of Christian Burial, 10:30AM, Friday, February 8, 2019, St. Patrick Roman Catholic Church, 6455 Brook Park Drive, Colorado Springs, Colorado 80918. Interment, immediately following, at Fairview Cemetery, 1000 South 26th Street, Colorado Springs, Colorado 80904. Reception, 1:30PM, Friday, February 8, 2019, American Legion Post 5, 15 East Platte Avenue, Colorado Springs, Colorado 80903. In lieu of flowers, the family requests that donations in Margaret's memory be made to or the Breast Cancer Research Foundation.